Click the button below to add the New Tire 245 75 16 Hercules Terra Trac AT II OWL 10 ply LT245/75R16 60,000 Miles to your wish list. Call to schedule a mounting time at our New 25,000 sq ft Retail Outlet in Cortland, Nebraska. We can also ship right to your door, anywhere in the 48 USA states. Hercules tires come with warranties. 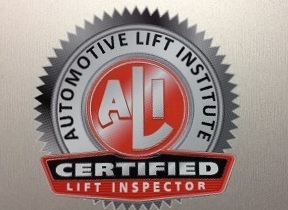 Contact Hercules, the tire manufacturer for further details. 60K MILES: Built to deliver 60,000 miles with proper rotation and air pressure used. ROAD HAZARD: Covered by our industry-leading Road Hazard Protection Program, which provides free replacement for up to two years OR the first 50% of tread life. WORKMANSHIP & MATERIALS: If this tire becomes unserviceable due to a flaw in workmanship or materials, we will replace it at no charge during the first 50% of tread life. Free Local Pickup at our New 25,000 Sq Ft Retail Outlet in Cortland, Nebraska. We can also bring to any of the Farm Shows we visit. We also ship all over the USA daily so Call 888-513-8473 for Shipping Rates. Shipping is available to the 48 continental United States. We offer a 14 day return policy on any un-mounted tire that we sell. Your only obligation is that you (the buyer) pay the return shipping. We buy tires by the semi load to save You money. 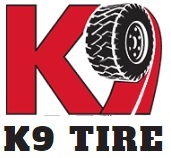 We have over 30 years experience and several warehouses full of tires. If you don't see the quantity, size or brand you are needing email us or Call us at 888-513-8473. Check out our other auctions for more Tire Deals! With our volume it is impossible for us to take actual pictures of each tire being listed. Our pictures are to be used as a reference to the tread design and not the actual photo of the tire. Any rims pictured are Not included and only pictured to feature the tire.